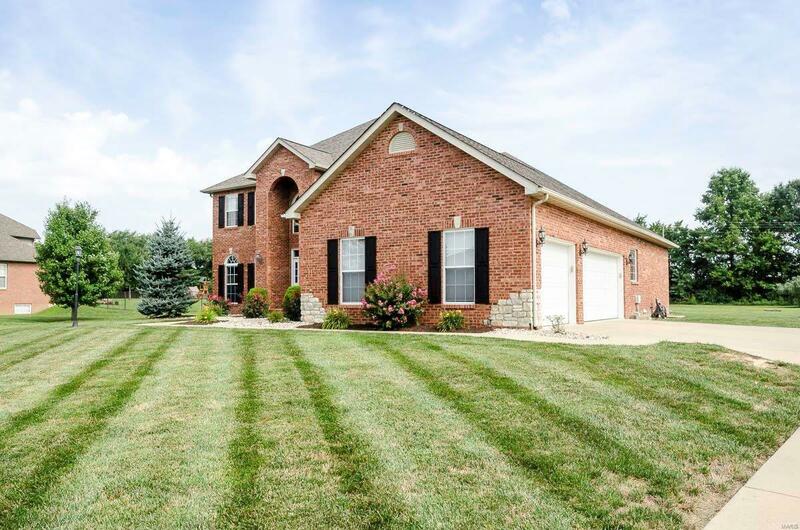 Here's your opportunity to own a 1.5 acre lot with a large 1.5 story home on it! 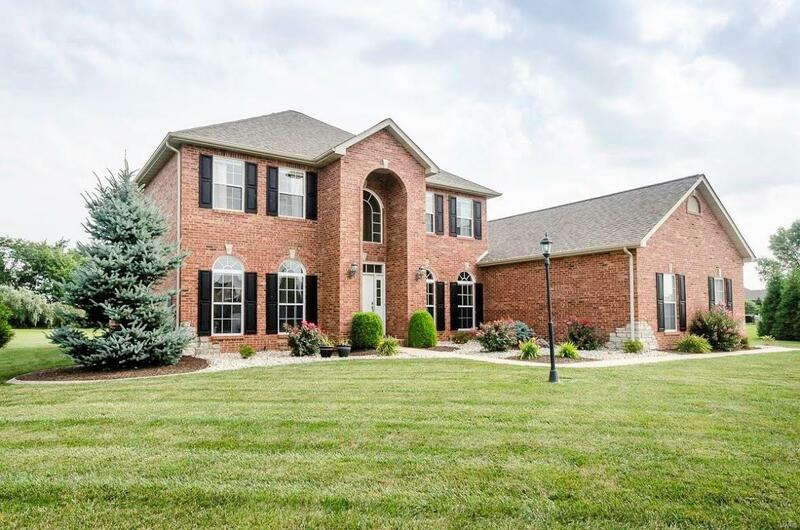 This Castle Ridge beauty offers more than size and yard, you'll find hardwood floors, formal dining room, formal living area or den, butlers wet bar, two story family room with a fireplace and a wall of windows that opens to the eat in kitchen with breakfast bar and stainless appliances. There is a main floor laundry room and a large master bedroom with luxury master bath and walk in closet. Upstairs you will find a full bath and three more bedrooms with tons of closet space. The basement has a finished office for your work from home get away. Plenty of space for more finishing or storage! 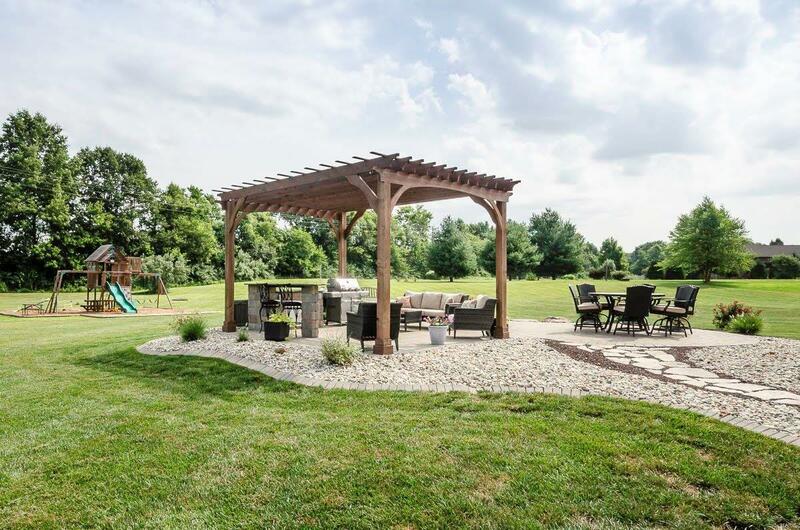 The back yard is an oasis with a pergola and stone patio and playset to stay. 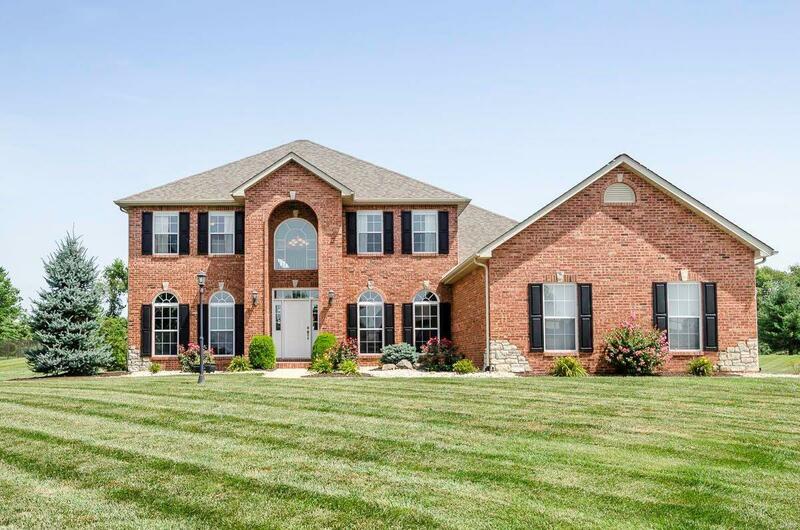 Minutes to Scott Air Force Base and I64.